Bristol have signed England international back row Jordan Crane from Leicester on a three-year deal. 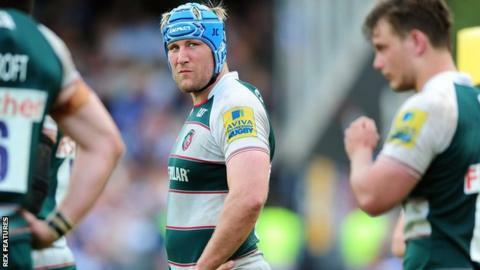 The 29-year-old has spent a decade at Welford Road, but will move to the West Country in the summer. He won four Premiership titles during his time at Leicester and has made more than 150 appearances for the club. "I've had an incredible 10 years at Leicester and those experiences have shaped my career," 29-year-old Crane told the club website. "The opportunity to join Bristol Rugby and be part of the exciting vision going forward was one I couldn't turn down." Bristol will play in the top flight next season if they beat Doncaster over two legs in the play-off final later this month.